Last year’s six place finish in Kona was a huge success for Julia. 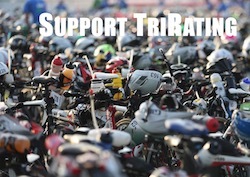 This year she will try to confirm her position as a Top 10 Kona athlete and maybe take the next step towards the podium. The quiet, determined German has made some changes after Kona 2014: She switched coaches to Wolfram Bott who also works with the Raelert Brothers and Nils Frommhold. Together they decided to put the focus on improving on her bike leg. Judging the way Julia was performing in Frankfurt, they are already seeing the results: Julia was staying in a group with Caroline and Daniela, and when Daniela put down the hammer on the second bike loop, Julia was able to ride away from Caroline and still able to run a 3:09 marathon in the heat. Even if Julia wasn’t fully rested for Zell am See, she managed a respectable 6th place finish. Last year her final preparation was at home in Germany, mostly on her own. She arrived two weeks before the race to get acclimatized to the heat and humidity. This year she prepared in a training camp in The Woodlands, Texas with a number of other athletes and coach Wolfram Bott. What will be possible for her in Kona this year? “I hope to confirm my result from last year as I expect a lot tighter race for the Top 10 this year. A dream would be finishing on the podium.” A lot will depend on her swim – last year she struggled a bit in rough Kona conditions with swells and currents. 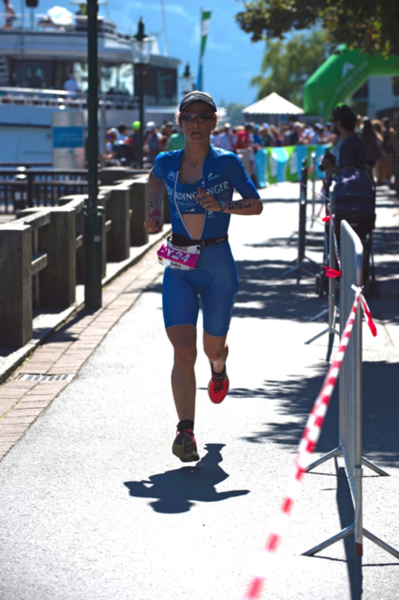 In the non-wetsuit swim in Frankfurt she was able to stay with Caroline and Daniela – if she swims as well in Kona she may even end up in the bike front pack instead of a group close to Rinny as last year. She has run a sub-3 marathon before (Roth 2013), her recent runs were between 3:02 and 3:09 – other than Rinny she is one of the strongest runners among the Top10 contenders in the Kona heat. But the field in Kona is so close that even a good race can result in almost anything between a 3rd and 15th place for Julia.